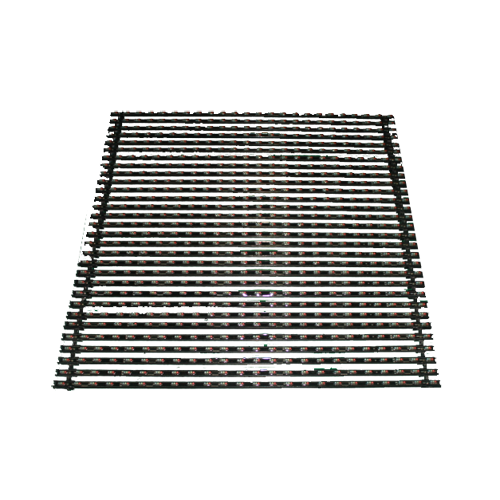 People-oriented, user-friendly, versatile…those are the words to describe the advantages of flexible LED display. Generally, flexible types feature light weight and thin design, and excellent flexibility which delivers greater integration with the structure. To install the flexible LED screen is a breeze with lightweight and space saving design. No heavy cabinet desired. Front servicable. The control system is also centralized overhead when you hang them for installation, letting you control and maintain the screen in a more organized way. Flexibility is the biggest advantage you can take with this series. 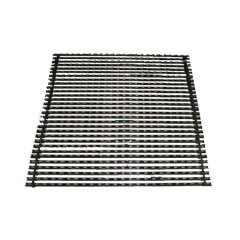 With great transparency up to 60%, they are popular for use as see-through stage backdrops, LED media facade for running colorful video effect outside while maintaining the view from inside. Also you can integrate them into structures or build creationary shapes. 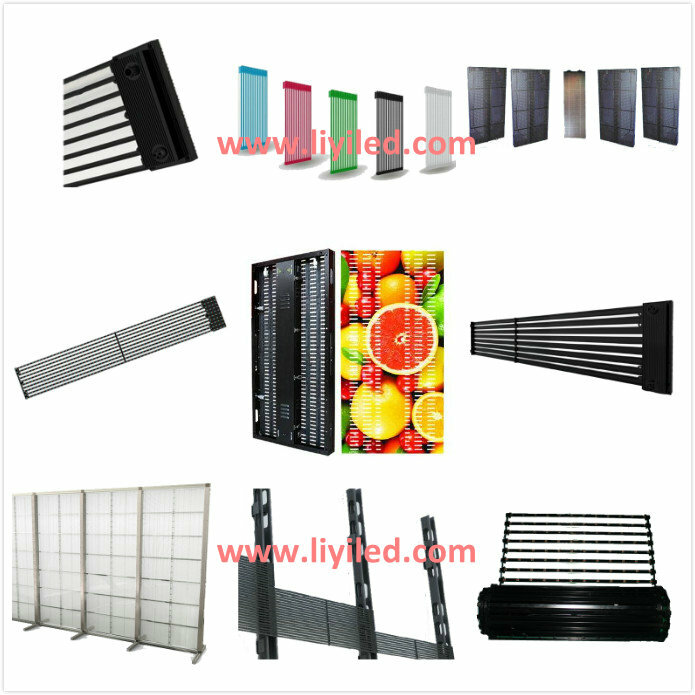 1.Foldable, flexible, portable and light, easy to carry and install. 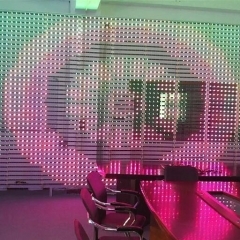 2.Fireproof and energy saving: led light souce. 3.Easy to install : grommets and magic sticks on each side, hanging on ceiling or wall with rings easily. 5.Easy to operate and display many programmes by PC, SD and DMX, compatible to WiFi and work with music. 7.It can be widely used in night club, bar, disco, dance hall, thester as wall and ceiling decoration, can also be used as stage backdrop for concert,wedding,event,rental,etc. 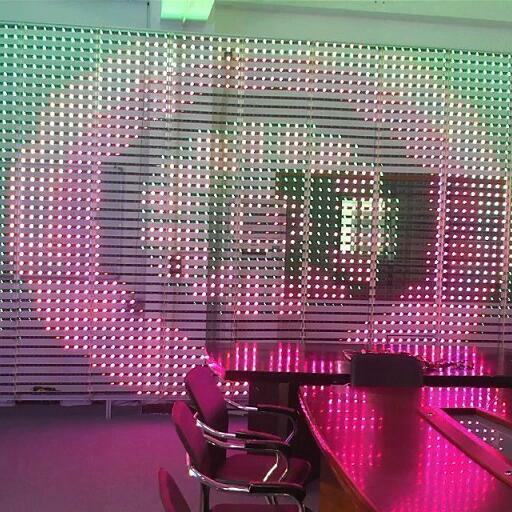 Flexible led mesh display widely applied in such as KTV, Bar, storefront signboard, studio, concert, exhibition, advertising, banks, securities exchange, shopping malls, postal offices, schools, monitoring, enterprises etc.